So here we finally are…in the last month of the heralded year of 2012, boldly headed where no (hu)man has gone before. (Actually, I am told that no one in our universe has attempted or been successful at what we are pulling off: becoming an integrated light body in physical form!) Do you remember the first time you learned about our planetary ascension and how far away that date seemed??? I do. It was so far away that I absolutely refused to be-lie-ve that the torture that was my life could maintain itself for that long. It didn’t tho…it got much worse. But this is IT…the grand finale. And even tho all the recent eclipses, solar activity, astrological alignments, & numeric gateways may have us feeling just awful enuf to barely care, the detachment that this intensity creates is actually a beautiful gift…it is helping us to effectively neutralize any remaining polarity within us, without getting stuck in the usual sticky (e)goo mess that always accompanies the 3D view. Today, tomorrow and into the new forever, we have absolutely nothing left to do but BE LOVE (aka, neutral). From the Pleiadian perspective, on 12/21 the sun will literally be reborn from what they call the “source of Source”…the moment when the sun begins its re-emergence from the galactic equator, which, according to the Mayans is the moment of our spiritual rebirth…when we (humanity) essentially bottom-out and begin to grow toward the light of the new sun. This is the turning point, both THE END and THE BEginning…the completion of a linear-evolving timeline and the BEginning of a quantum-evolving timeline. After this incomprehensible moment in “time”, the (new) sun will be capable of transmitting the Universal LOVE (zero-point/Source) energy from the galactic core. The arrival of universal LOVE energy on our planet is what we have been working toward for so very long…it is the nectar, the elixir of creation…what the seven sisters have continually referred to as the energy of rebirth/renewal/resurrection/reincarnation/transfiguration, etc. 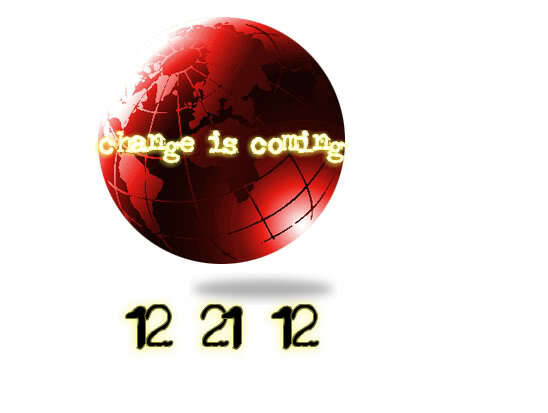 The next big (read: massive) moment for us, and in preparation for the 12/21 reboot, is a “reuniting” of sorts that will take place beginning with our (final for this century) triple numeric encodement on 12/12/12. The unseens call this milestone the “reconciliation of the soul/the reuniting of lost aspects” where we will be privy to parts of our soul, here in the physical world, that we have not had access to for many, many lifetimes…if at all. This passageway and final activation marks the completion of the unity-crystalline grid structure, the intricate geometric pattern of light that will pulse the (13) energy of universal LOVE thru our physical and the earth body’s circulatory system. (Interestingly,Stephanie Azaria says that the day after the 12/12/12, on the 12/13 new moon…the end of what she calls the eclipse wormhole that began on 11/13…we will land in the Sagittarius portion of our consciousness which is delivering us to the 13th constellation, Ophiuchus!) In my last report I mentioned that Ophiuchus will be responsible for activating the physical gateway thru which the universal LOVE (unified) harmonic will be transmitted to the planet, upgrading humanity and all physical matter to the frequency of 13. All this coming together business is obviously no accident. The PHC also elude to the fact that the triple 12 stargate is OUR big moment, whereas 12/21 is more of a planetary moment in that the 12:12:12 marks the true end of our initiation and the activation of Christ-consciousness…our personal gateway to unity thru the crystalline grid…in those prepared, thru the completion of our 12-strand DNA/12 chakra system. The 12:12:12 portal (and its resulting light geometries) will not only open us all to the highest levels of realization and divine perfection, it is also one of specific, dynamic frequency attunement that will be responsible for the physical unification of spirit and matter that will result in the (re)uniting of mind, body and soul. This attunement is not something that we will experience all on the same day, but rather in a succession as the final triple gate for our cosmic ascension activates and completes the codes required for our (3D) emancipation. It’s been impressed upon me that 12:12:12 is like the beginning of the end, the “start engines” moment before planetary lift-off which means the time between 12/12/12 and 12/21/12 will be very significant in a building-to-crescendo-kind-of-way. Now, we say all of this with great care for there are those reading this who will not experience transcendence thru this stargate. As we said previously, not everyone is in total command of the human experience as of yet. This gateway is merely the opening, the very beginning of a whole new human experience now possible for all, but for and by which many souls will and will not choose to embody, in their own time. There will be other openings that will usher new waves of souls who have made the choice to experience LOVE as their guiding force, this is but the first of its kind. For those of you relatively new to the ascension path…those who have not made the first cut, so to speak…be not weary, rather inspired by what those before you have made possible for all. This is not a race, but an unfoldment, as those at the front of the parade were once at the back. The journey home is an individual, yet collective experience. You must become a whole individual before you can become a part of the One.